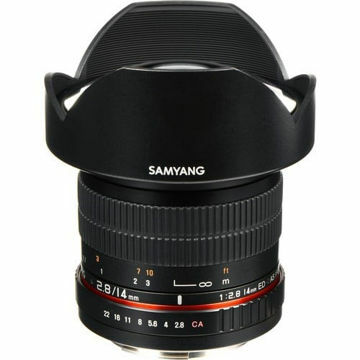 A compact wide-angle prime for FUJIFILM X mirrorless cameras, the 10mm f/2.8 ED AS NCS CS from Samyang is a flexible lens suitable for landscape, nature, and architectural photography. The optical design utilizes two aspherical elements and one extra-low dispersion element, which help to reduce spherical and chromatic aberrations for improved sharpness and clarity. A Nano Coating System (NCS) has been applied, too, to suppress flare and ghosting for increased contrast and color accuracy. 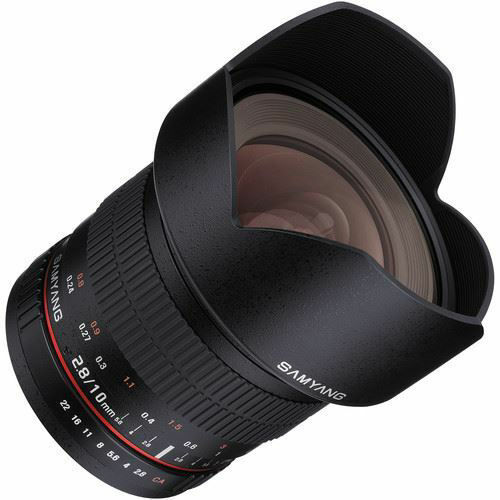 Additionally, the manual focus design of the lens offers a 9.4" minimum focusing distance for working with close-up subjects. 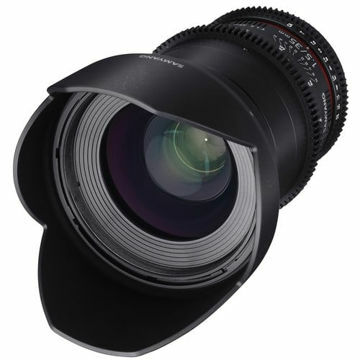 Designed for APS-C-format Fujifilm X-mount mirrorless cameras, this lens provides a 15mm equivalent focal length. Bright f/2.8 maximum aperture suits working in a variety of lighting conditions. Two aspherical elements control distortion and spherical aberrations in order to realize greater sharpness and accurate rendering. One extra-low dispersion element reduces color fringing and chromatic aberrations for improved clarity and color fidelity. NCS coating controls flare and ghosting for improved contrast and color accuracy when working in strong lighting conditions. 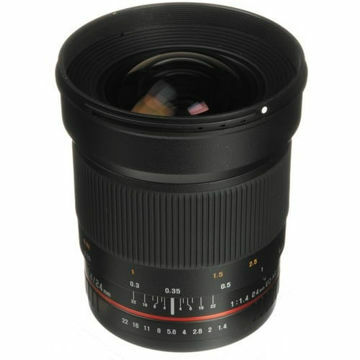 Manual focus design offers a minimum focusing distance of 9.4".